Bean Reserve, Bangsar, Kuala Lumpur. Note the logo on the window. The first thing that struck me as I entered Bean Reserve in KL was the geometry. Somewhat hidden along a street behind Jalan Maarof, Bean Reserve offers a quiet space amidst the bustle of Bangsar. 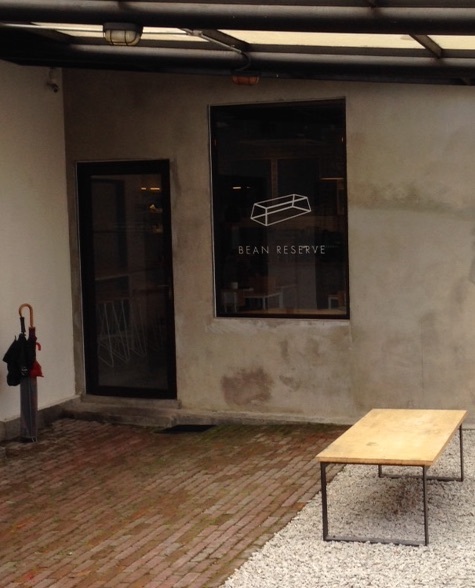 The 2D representation of a 3D object that is Bean Reserve’s logo is somehow mirrored in the choice of the tables and chairs that are contained in the cuboid space of this café. 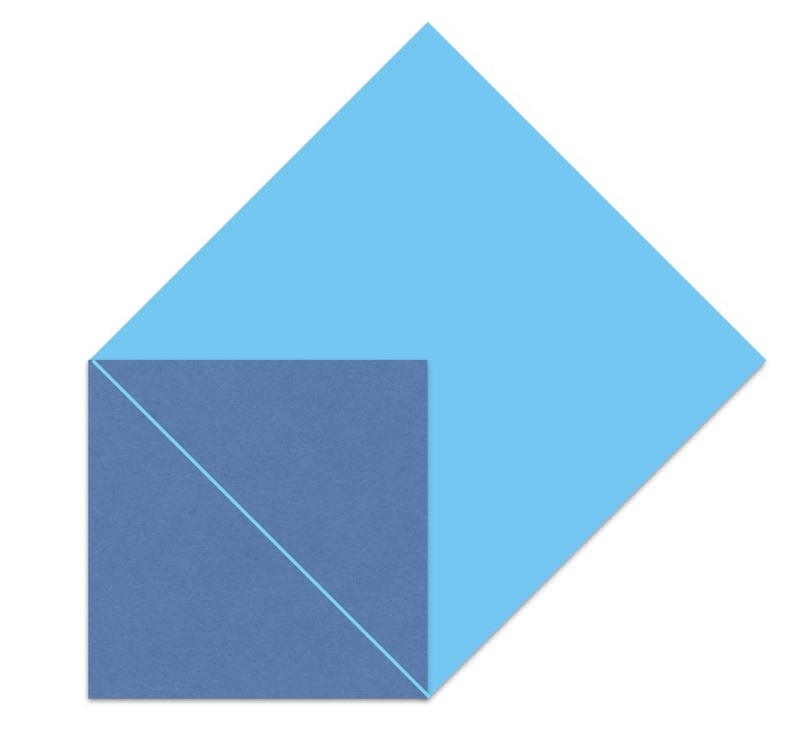 Triangular tables are arranged to form larger, quadrilateral tables. Circular stools nestle underneath square tables. Light streams into the café from a large window on one side of the room. The other side features a sliding door that was occasionally opened, revealing the desks of The Co, a co-working space that shares the building of Bean Reserve. Although we only tried the drinks (an exceptionally fruity long black and a very cocoa-y iced chocolate), there looked to be an interesting selection of edibles on offer, with a bottle of chilli sauce stored behind the counter. Soy milk was available if you prefer non-dairy lattes and there were a good range of drinks on offer from nitro-cold brew to iced chocolate, just what can be needed in the heat of KL! Coffee is roasted by Bean Reserve themselves (who are both a café and a roastery), thereby providing the residents of (and visitors to) Bangsar with a seasonally varying range of great, freshly roasted coffee. 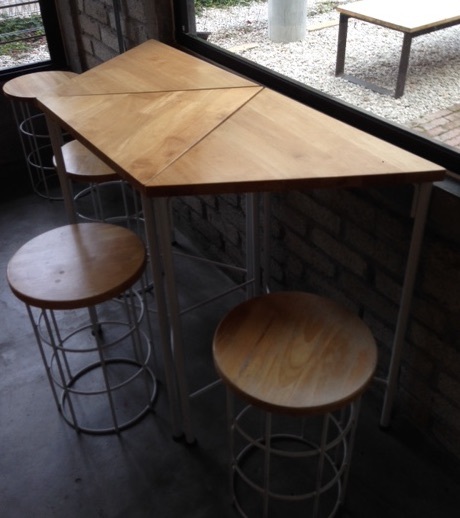 Triangular tables and circular stools. The different geometrical features in the café immediately suggested Euclid to my thoughts. Written over 2300 years ago, Euclid’s The Elements was, for many years, the text book on geometry and mathematics. It is said that Abraham Lincoln taught himself the first 6 books of The Elements (there are 13 in total) at the age of 40 as training for his mind¹. Working from 5 postulates and a further 5 common notions, Euclid describes a series of elegant mathematical proofs, such as his proof of the Pythagoras theorem. And so, it may be appropriate that there is one more geometrical connection between the ancient Greeks and Bean Reserve: That sliding door that connects the café to the working space of The Co.